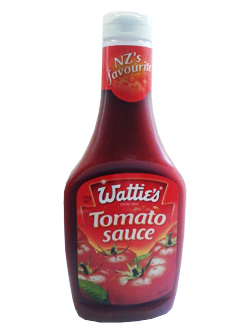 New Zealand’s favourite tomato sauce and the great taste kiwis know and love. Rich concentrated tomato puree is used alongside spices to make this perfect condiment or a sauce to add flavour to meals. Concentrated Tomatoes (Contains approx 142g of Tomatoes per 100g or 21g of Tomatoes per 15g serve), Sugar, Salt, Food Acids (Acetic Acid, Citric Acid), Natural Flavours, Spice.